Whether a government entity or a private employer, learning that one of your employees has been arrested for a serious crime is not news you want to hear. Especially when you discover it wasn’t the employee’s first offense. In late August officials of the City of New Bedford, Massachusetts found themselves in a precarious public relations situation when an employee for the Department of Public Facilities was arrested for armed robbery. The news was splashed over the media headlines. According to a South Coast Today story, shortly after the employee’s arrest it was revealed that he had been convicted five years prior of a felony, yet the city of New Bedford was unaware of this information as they had not completed a background check during the hiring process. According to the article,New Bedford officials believed they were prohibited from doing a background check by the Massachusetts Criminal Offender Record Information (CORI) law that went into effect November 2010. The employee, who was hired twice by the New Bedford Department of Public Facilities, had been employed as a “laborer,” therefore City officials concluded that under the CORI law they were not allowed to run a criminal background check since the job did not require work with children or the elderly, or entrance to private residences. The first time the subject employee was hired by the city was 2.5 years after his Superior Court conviction for unarmed burglary and two counts of assault and battery with a dangerous weapon. A spokesperson for the Massachusetts Executive Office of Public Safety disagrees with New Bedford’s interpretation of the law. In the South Coast Today article, Terrel Harris claims that while Massachusettslaw bans employers from inquiring about an applicant’s criminal record on a written application, the law does permit verbal questioning and completing criminal background check for any position. So… the City is pointing fingers at the state, the state is pointing fingers at the City’s misinterpretation of its law, the citizens of New Bedford are reading fear-mongering news headlines in their local paper, and in the end, an ex-offender city-employed laborer did what two-thirds of others like him do—committed another crime. Quite frankly, this sounds like the very situation many private employers fear, given recent legislation and guidelines that tighten down the hatches on the use of criminal records in an attempt to provide greater second-chance job opportunities for individuals with criminal records. The fear of hiring the wrong individual, even in a closely supervised laborer position—a seemingly perfect job for someone looking to earn back public trust after serving a criminal sentence—is great. As this news story demonstrated, all rational thinking seems to go out the window when an employer unknowingly hires an ex-offender. To employers, this whole thing can feel like a damned if you do, damned if you don’t scenario. Damned if you do run a criminal background check because it may be found to have disparate impact. Damned if you don’t run a criminal background check and your checkered-past employee does something wrong. Again. Bottom line is, absent any meaningful tort reform to lower the standard duty of care necessary to better protect employers against negligent hiring lawsuits, employers will continue to feel stuck between a rock and a hard place. 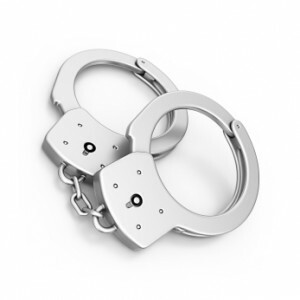 Read this recent related blog post for more of our opinion on this matter: Employment Background Checks and Recidivism: Is there a connection? 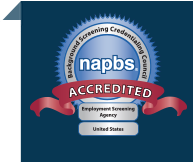 If you’re looking for a smart balanced approach to background screening; an approach that will protect your people, brand, and profits, give us a call. We deliver strategic, accurate, and affordable screening services for companies large and small. Request a free consultation.